In short, it’s a shared calendar of Bible readings used across many different Christian churches from several nations. Many churches in the Protestant tradition share a common scripture reading calendar called the Revised Common Lectionary. It marks out the long-standing dates and themes on the church calendar such as Advent, Pentecost, and Lent. While often associated with mainline churches, this practice is non-denominational and only suggests which Bible verses to read. These scripture readings are used as a guide across many traditions. Any given Sunday you will find Episcopal, Methodist, Presbyterian, Baptist, and others using these texts in their public worship services. For most types of Christian congregations, this is an optional practice. 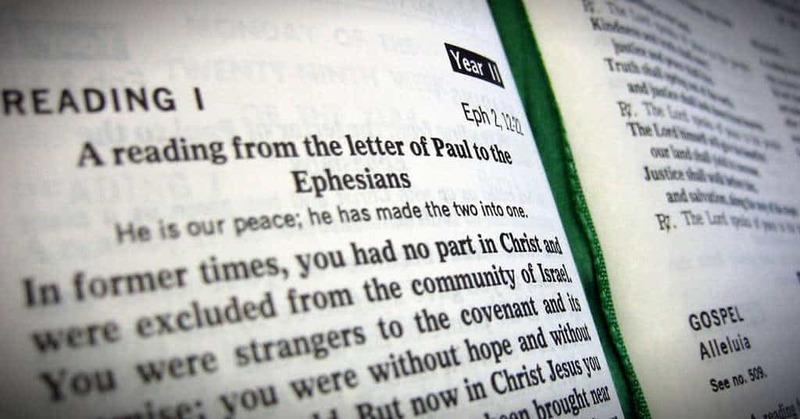 For children’s ministry, there has often been Lectionary Lessons taught in Sunday School or children’s church. Our website will sometimes list the appropropriate lectionary readings. Tony Kummer (Editor) reviewed & updated this page on : October 1, 2014 at 10:22 am. All our content is peer reviewed by our readers, simply leave a comment on any post suggest an update.